How estate and letting agents could get better results with less spend using smarter marketing methods. What marketing are you doing? Canvassing? Touting? Newspaper ads? However, when this particular agent analysed these valuations and subtracted (as much as she could do) the word-of-mouth and referral-generated valuations, less than 100 had been generated from these marketing activities. The problem is that these valuations are all ‘cold’ – in other words, with no prior relationship, or nurturing of the potential client, the likelihood you will convert the val to an instruction is so much lower. You may very well just be there to make up the numbers – as the third agent through the door. And what is your conversion rate likely to be then? 50%? 33%? Let’s look at online marketing. 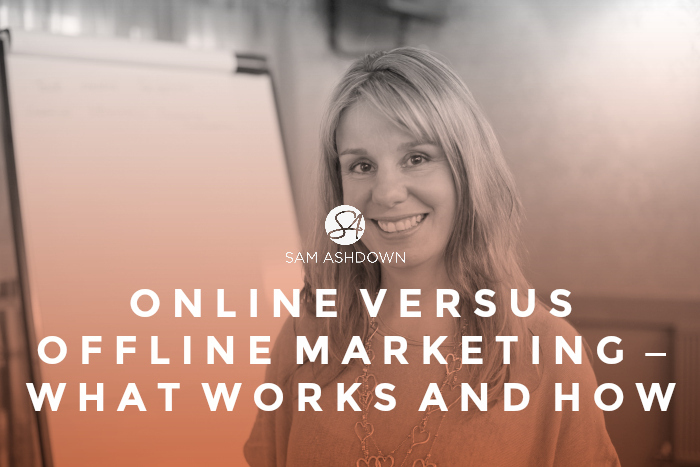 So – offline or online? There will always be a place for offline marketing, I think. If you use it cleverly – integrating it with your online activities – canvassing, advertising and the rest can become a lever to make your online marketing efforts more successful. However, on its own, it can be dull, self-centred and ineffective. I’ve put together a cheatsheet to help you plan your marketing budget. It’s free in exchange for your email – just pop in your details here. Like to know how you can ramp up your marketing and get better results with less spend? Answer a few questions here and I’ll let you know if and how I could help you.